JAMMU: Dr. Pradeep Kumar Sharma, former Vice-Chancellor of the Sher-e-Kashmir University of Agricultural Sciences and Technology, met Governor Satya Pal Malik at the Raj Bhavan here today. 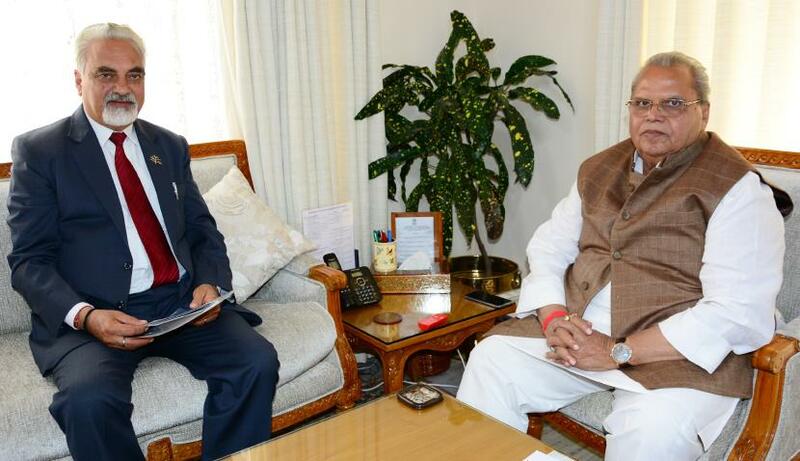 Dr. Sharma who completed his five year tenure as VC SKUAST-J in February 2019, briefed Governor about various initiatives taken during his tenure for promotion of quality research and teaching in the Institution and transferring new technology to the fields of farmers for enhancing agricultural and allied sectors' production and productivity. Governor and Dr. Sharma discussed about ways and means required to make SKUAST-J a hub of quality and excellence in teaching and research. Governor wished Dr. Sharma health and 0success in his future endeavours.